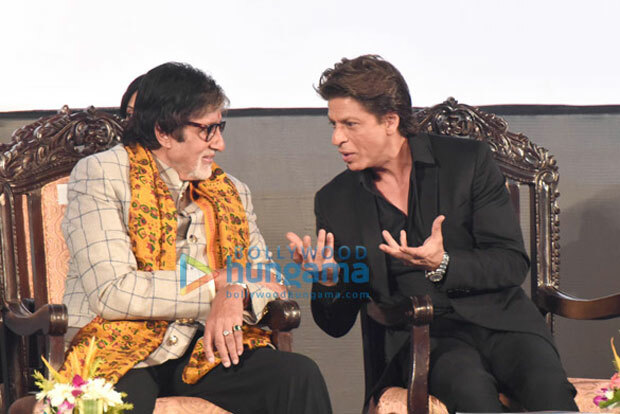 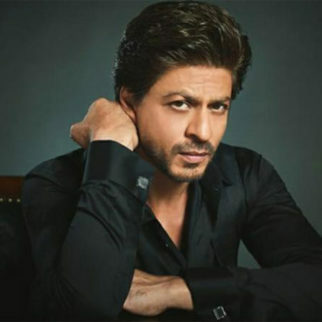 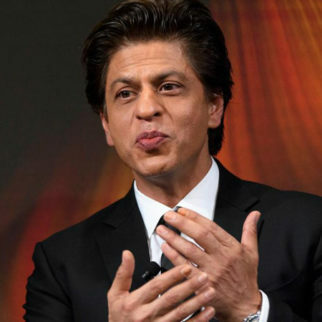 Just earlier last week we had reported that Amitabh Bachchan and Shah Rukh Khan will be coming together to inaugurate the prestigious Kolkata International Film Festival. 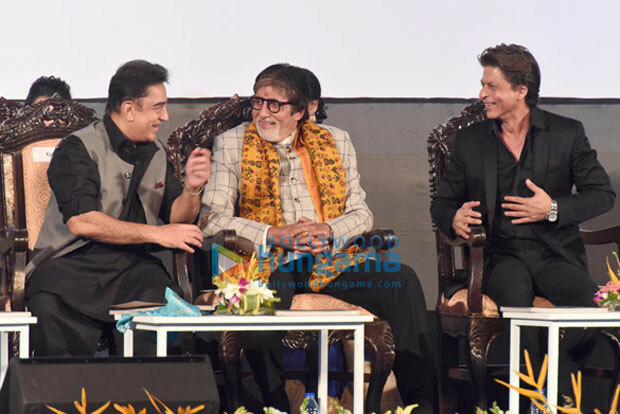 And as we said, it truly turned out to be one star studded evening as we saw the stars bonding with each other. 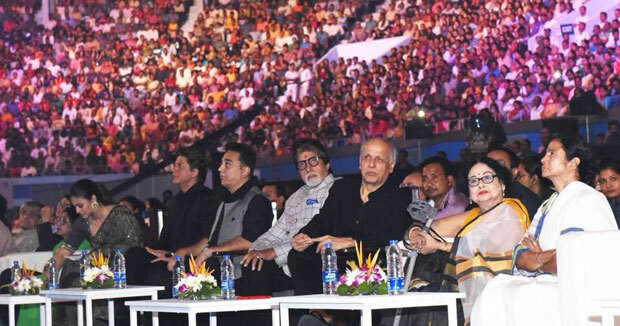 Gracing the occasion along with Bollywood celebrities was none other Chief Minister of West Bengal Mamata Banerjee. 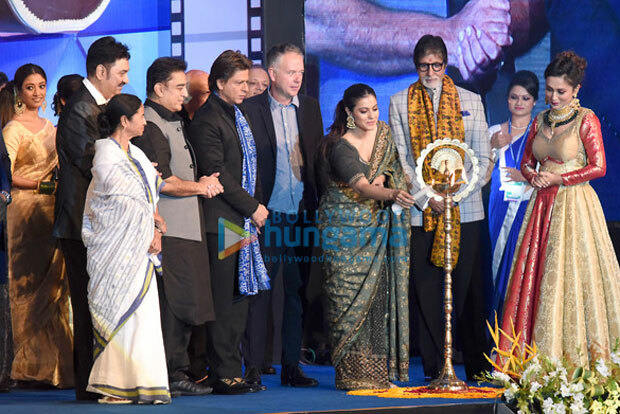 The renowned politician who also shares a great camaraderie with many who were present that evening, was seen accompanying yet another prominent B-town celebrity Kajol who went on to light the lamp at the opening ceremony. 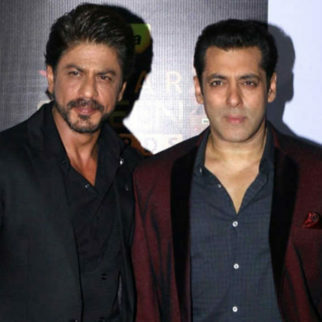 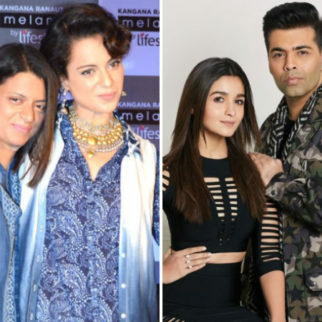 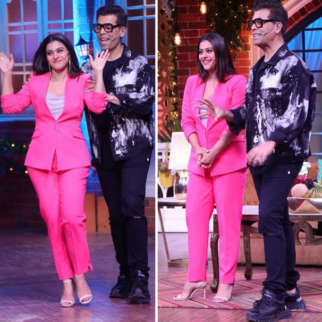 On the other hand, we also saw the mini reunion of the cast of Karan Johar’s popular film Kabhi Khushi Kabhie Gham as we saw Shah Rukh Khan, Amitabh Bachchan and Kajol reuniting on stage. 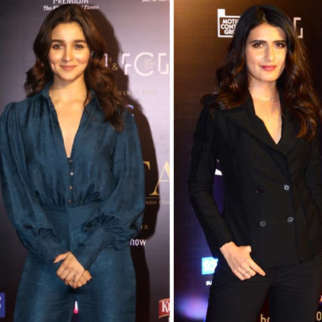 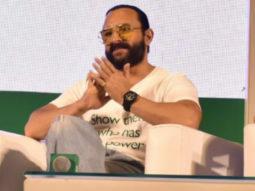 Also present at the event were some other stalwarts that include South superstar Kamal Haasan, veteran filmmaker Mahesh Bhatt, 90s singer Kumar Sanu among others. 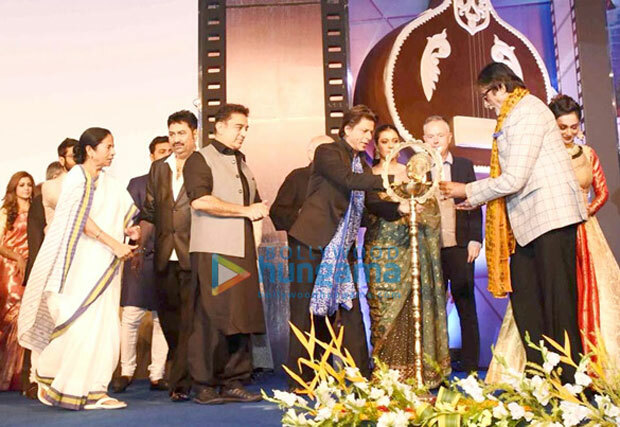 Many celebrities from the Bengali film industry like Paoli Dam too graced the evening. 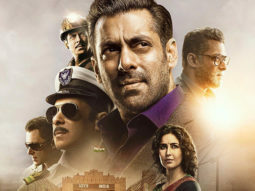 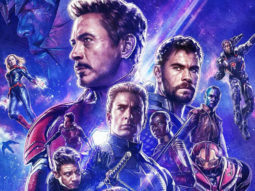 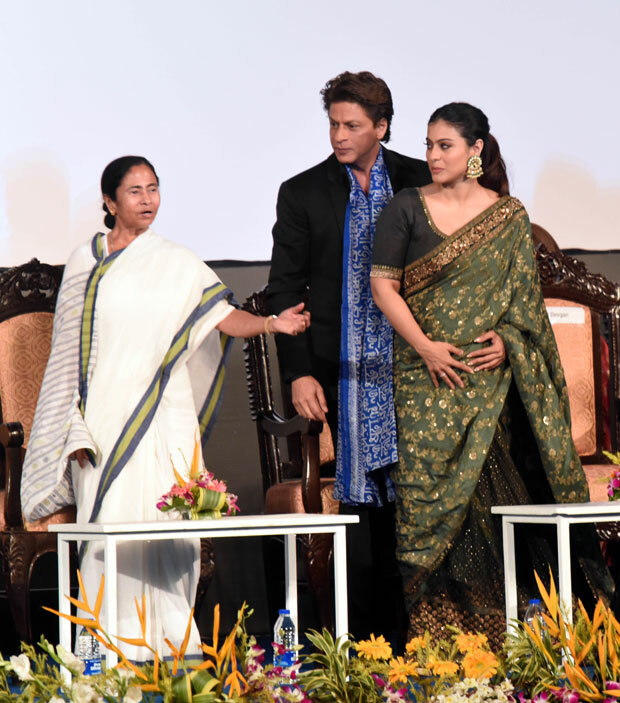 The Kolkata International Film Festival is considered to be one of the most prestigious events which include films to be screened across over 16 categories. 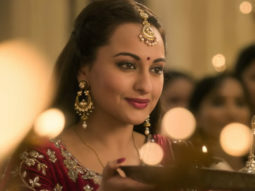 From exploring global films to promoting rare language cinema in the section ‘Unheard India: Rare Indian Languages’, the festival will delve into deeper aspects of regional film industry. 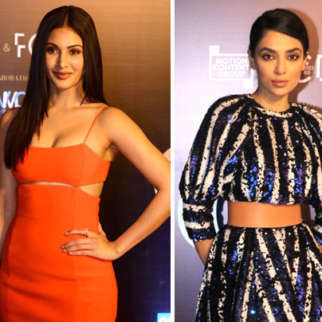 Besides these, the seven day festival will also acknowledge the work of veterans whom we lost this year that include artists like Om Puri and Tom Alter. 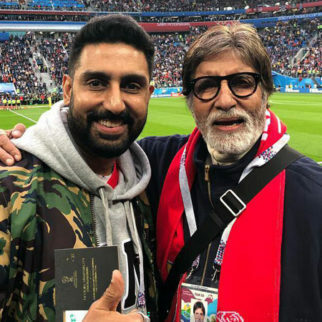 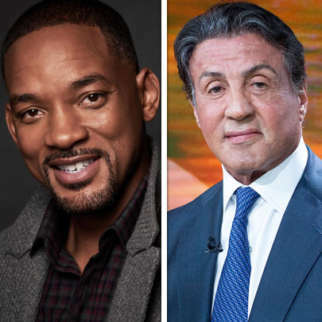 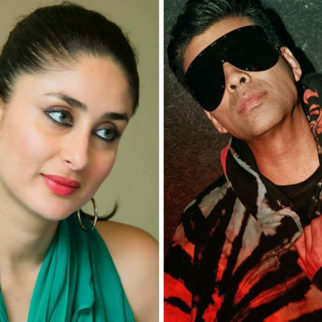 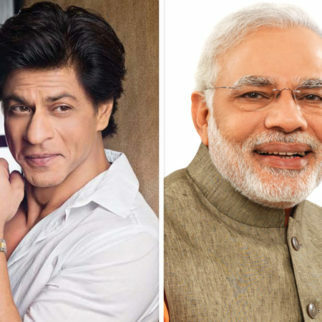 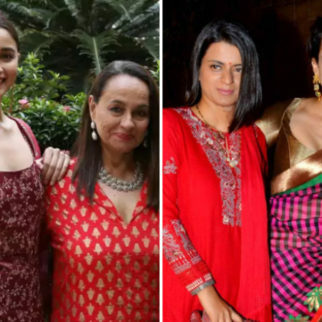 Talking about the opening ceremony, Amitabh Bachchan, Shah Rukh Khan, Mahesh Bhatt, everyone took to social media to express their happiness and shared moments of bonding with their colleagues from the Indian film industry. 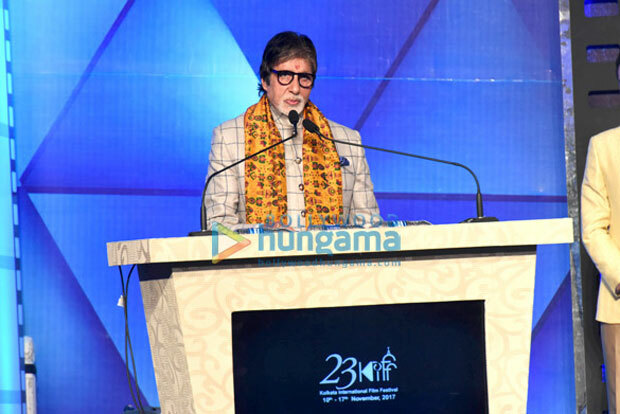 “Too much fun and love at KIFF 2017. 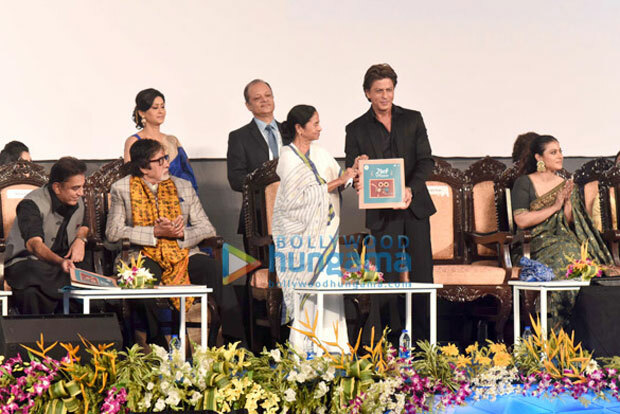 Love my Kolkata & as always the warmth of @MamataOfficial…U r the sweetest,” wrote Shah Rukh Khan.